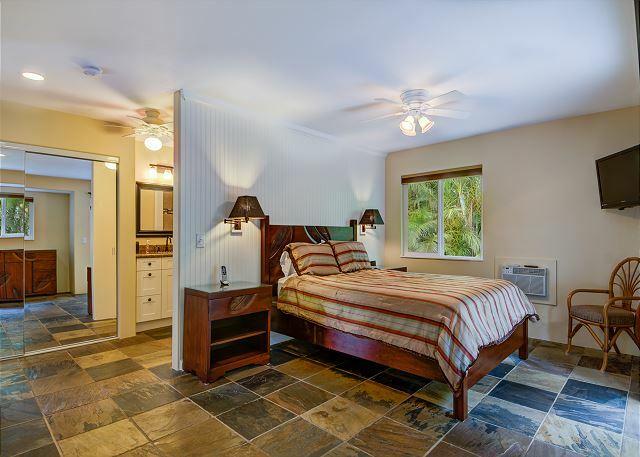 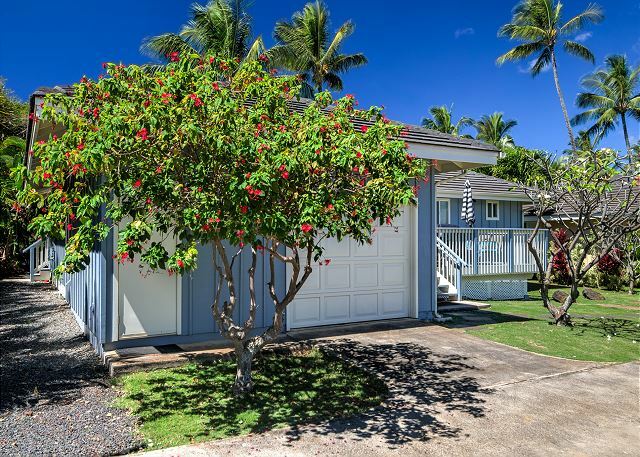 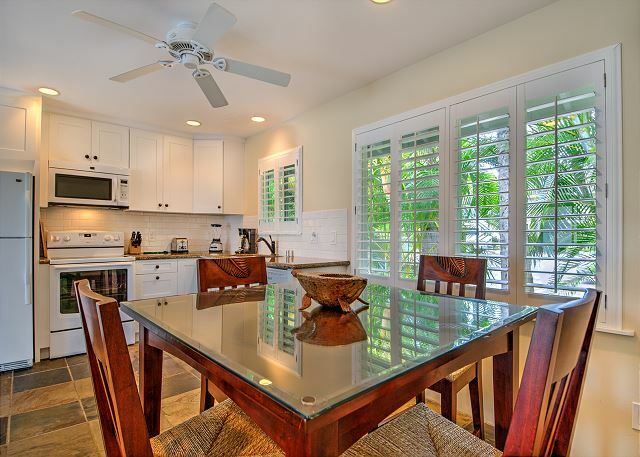 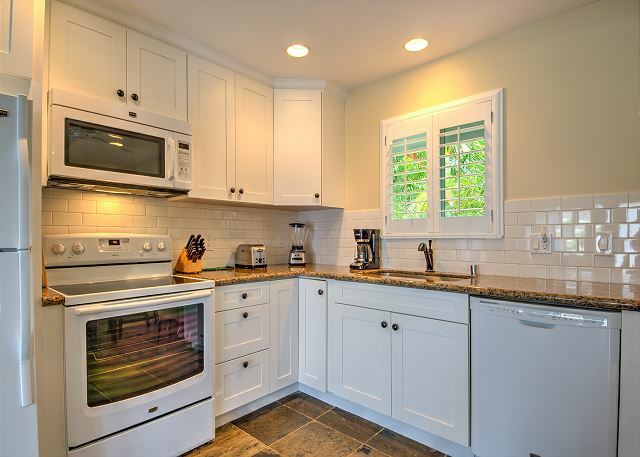 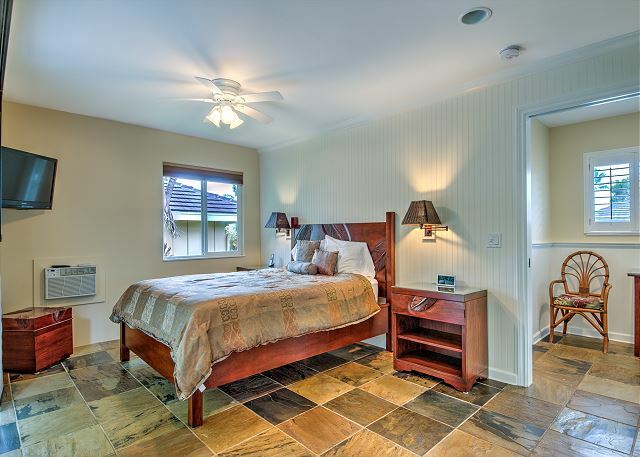 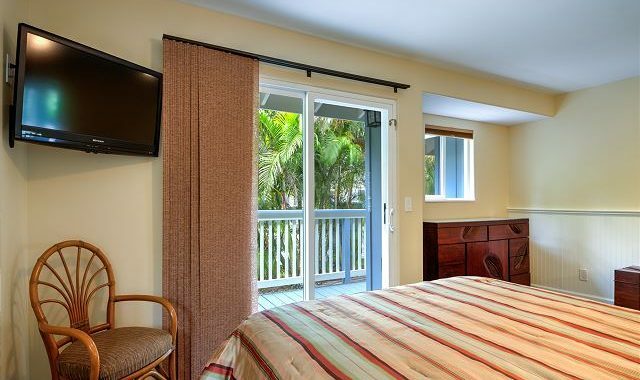 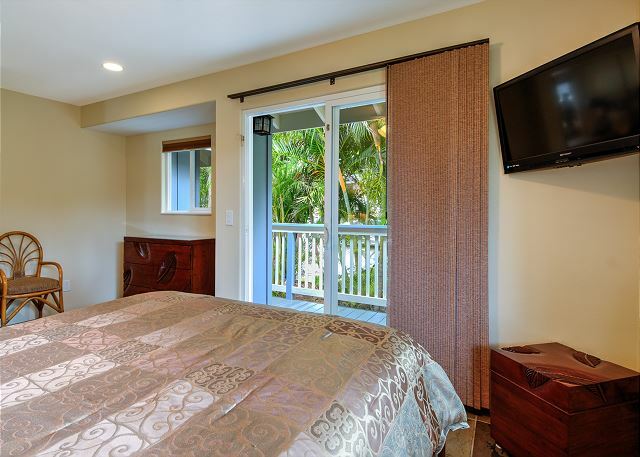 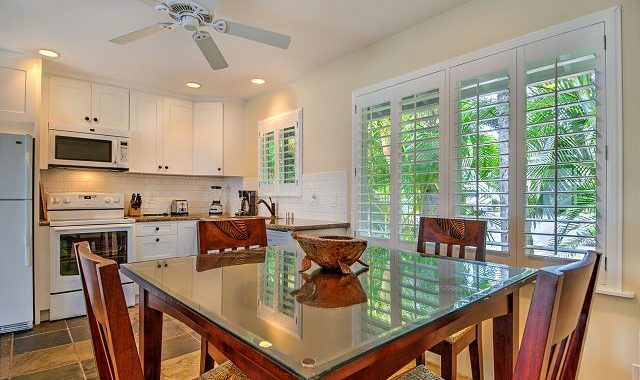 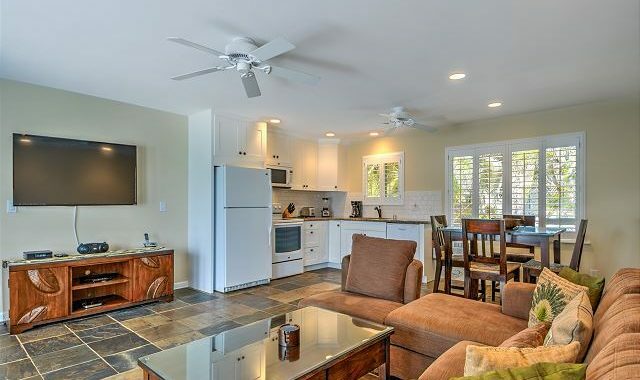 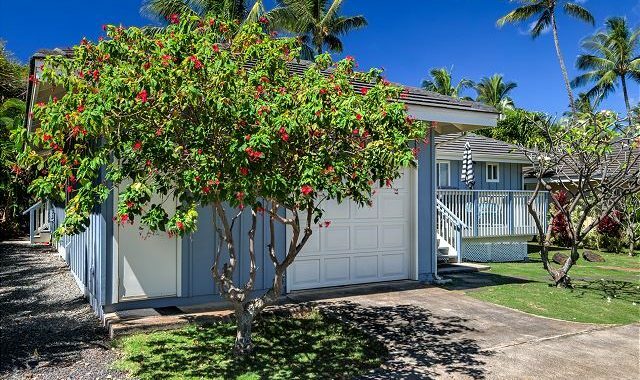 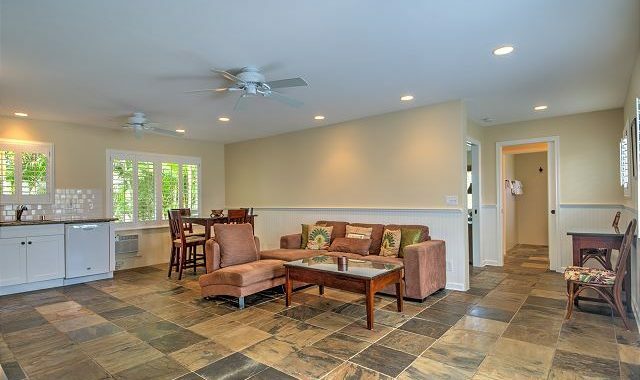 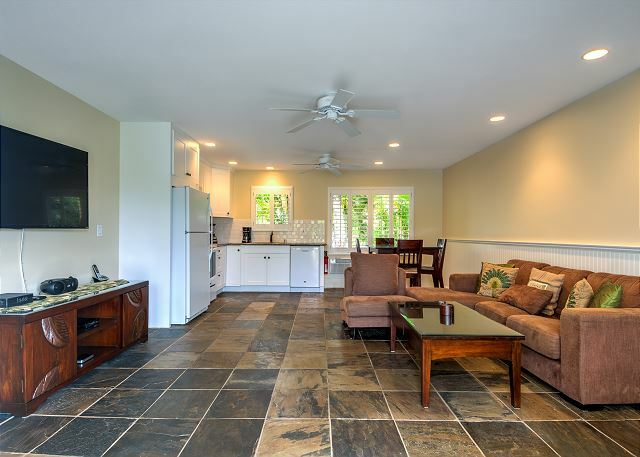 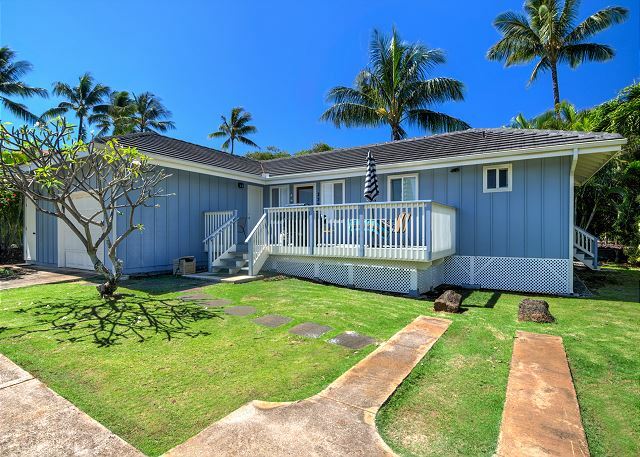 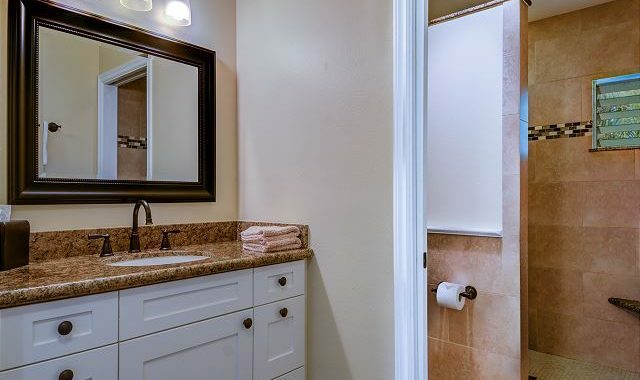 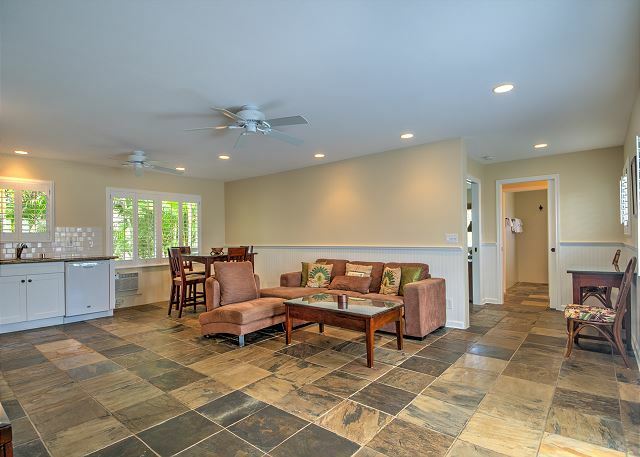 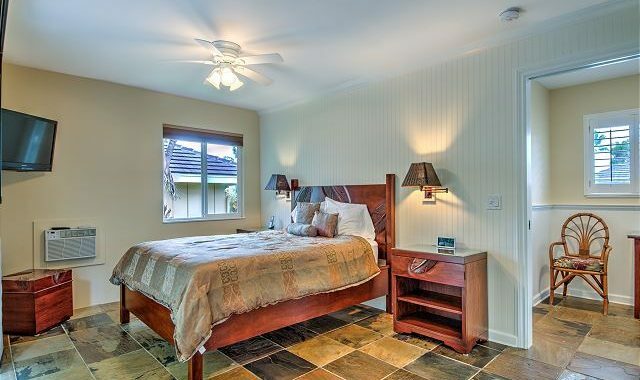 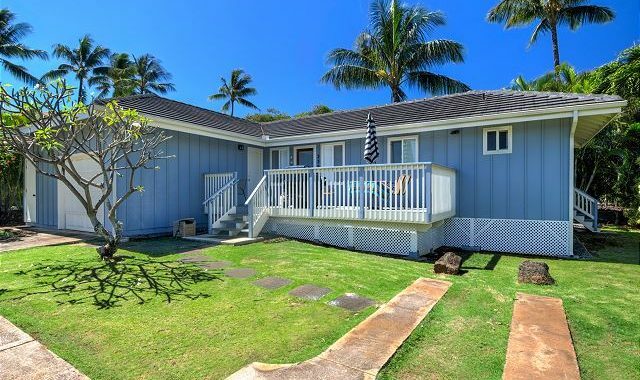 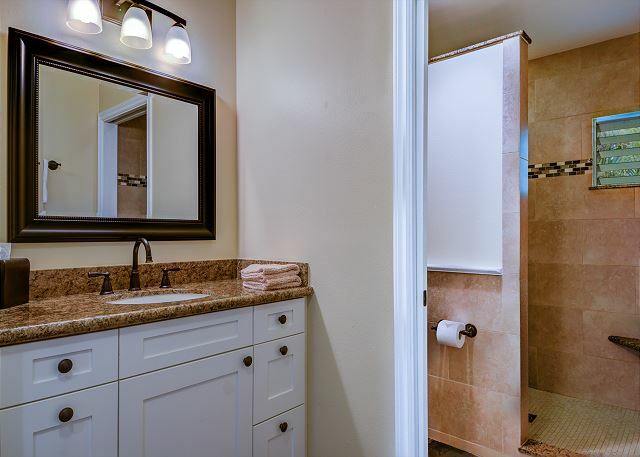 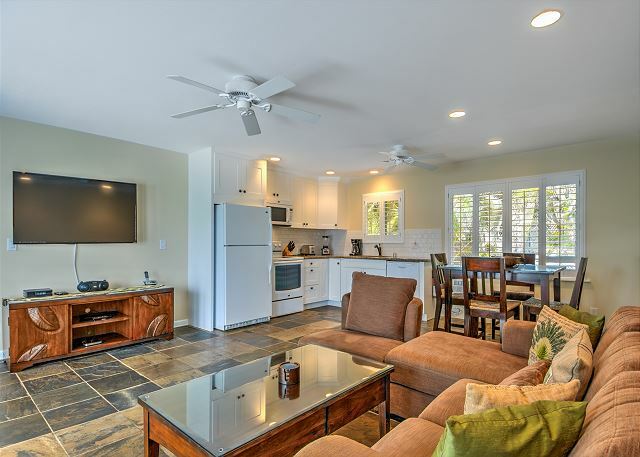 POIPU, KAUAI VACATION RENTAL: Hale Loke is a beautifully furnished and appointed 2B/2B single story detached cottage (no neighbors above or below). 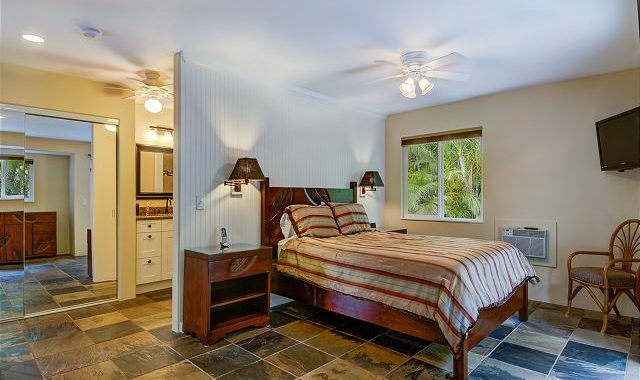 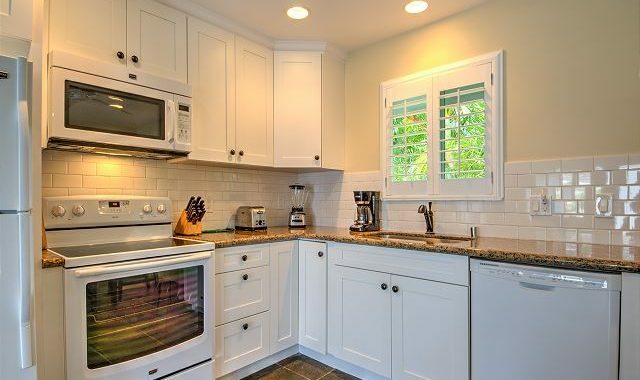 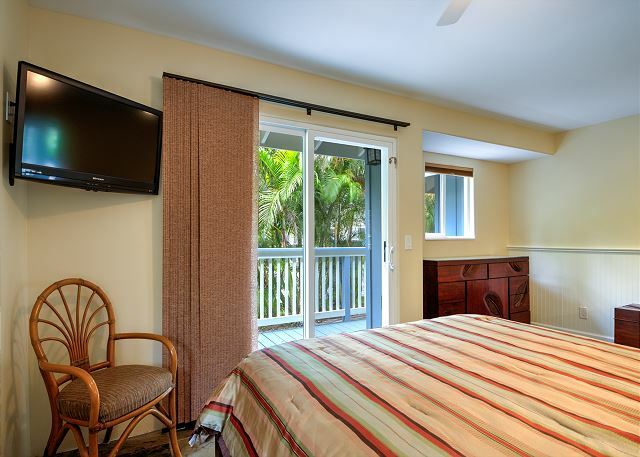 The recently renovated Cottage has two air-conditioned master bedroom suites. 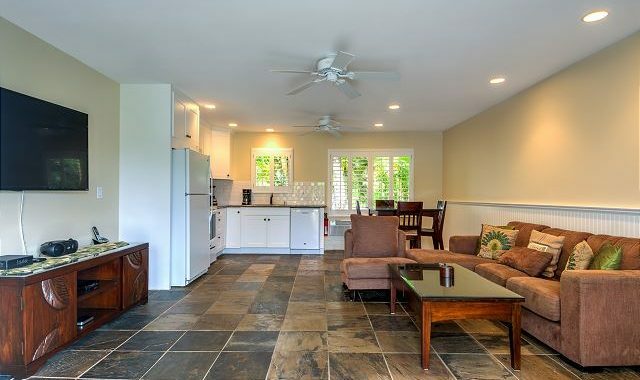 The backyard has a BBQ grill, dining table, mountain views, banana trees and is surrounded by a lovely lava rock wall. 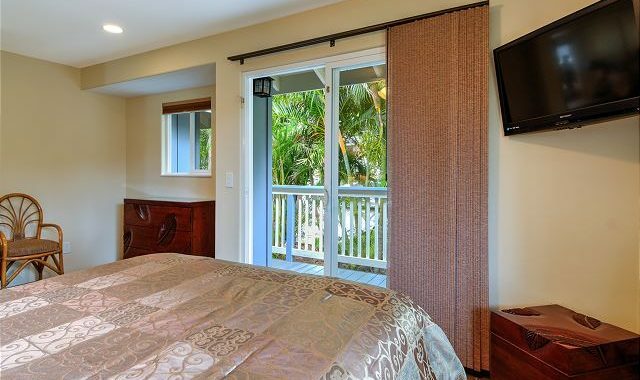 Hale Loke sleeps 4 in queen beds and up to 6 people with the use of an aerobed.